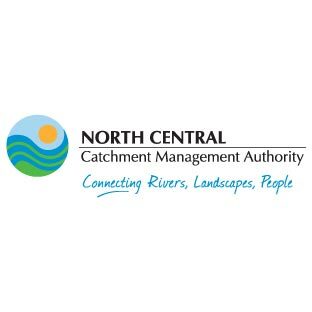 Vic No-Till receives sponsorship and financial support from the following organisations. Money goes towards staging no-till farming events across Victoria and other projects. Get in touch with the no-till farming Victoria group to find out about becoming a sponsor, or learn more about no-till farming systems here. GrainCorp is an Australian ASX 100 company founded in 1916 and was originally part of the NSW Government’s Department of Agriculture. Mission: An international leader in food ingredients and agribusiness, creating value by connecting consumers and producers. Vision: Grow as customers’ preferred partner – driven by passionate people and assets around the world. GrainCorp is a leader in the Australian agribusiness sector, focusing on the grain and oilseed fields. Shelbourne Stripper Fronts. There are numerous benefits to using a stripper front in wheat and small grains ranging from dramatic productivity gains to improved crop recovery levels in lodged and weather damaged crops to stripped straw providing a more favourable No-Till planting environment. 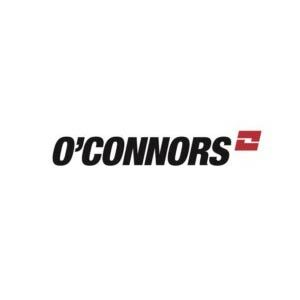 O’Connors CaseIH, farm machinery specialists, now with the strength of a six-dealership network, offer superior customer service, expert sales advice, a wide range of new and used machinery backed up by a dedicated and experienced service team and comprehensive parts department. At the leading edge of farm technology with O’Connors RTK network and precision farming solutions and the only dealers authorised to sell the Case IH Patriot self-propelled sprayer, O’Connors can look after farmers’ on-farm needs. Farms are financed like no other business, which means only specialised banking products will do. Rural Bank has products that work for the financial demands of all farmers – from large agri-businesses to personal money management. Our focus is to provide products and expertise to help farmers take control of their money, stay on top of challenges and grab opportunities to grow. We’re here for all Australians who want a bank that puts our people and communities first. We have everyday banking, savings, investments, retirement accounts and loans – as well as special products for businesses and community groups. AGF Seeds are based in Smeaton, near Ballarat and produce and market high quality seed for farmers throughout Australia. AGF Seeds market broadacre, pasture and cover crop seeds and have strong relationships with Australian and International plant breeders. Seed is produced and processed under a quality assurance scheme to ensure seed is of the highest quality and genetic purity. AGF evaluate and trial newly developed varieties to proof their suitability for our varied Australian conditions and are currently conducting variety, disease and seed enhancement trials at Smeaton, and regionally throughout Victoria. Converte is helping farmers feed the planet naturally, sustainably and profitably with balanced biological solutions that support soil and plant health. Our ACO certified organic products restore lost nutrients in the soil and enhance biological communication pathways between the soil and the plant. This leads to greater plant resilience and stress protection from weather and pests and also improved efficiency and profitability in the utilisation of chemical inputs. Converte’s regenerative Ag solutions have been used across broad-acre and vegetable crops, vineyards and orchards for the past 13 years with incredible results. Learn more at www.converte.com.au. Cropping Solutions provides farmers with concentrated liquid fertilisers delivering cost-effective results. Cropping Solutions will provide fertiliser blends to suit specific crop and soil types, to boost plant health and crop consistency. ECTOL are leaders in Bio-Nutrients, which are replacing fertilisers as farmers increasingly move to farming practices such as no-till, reduced till, regenerative, sustainable or organic farming. The organically complexed plant nutrients are rapidly absorbed by plants or retained in the root zone, maximising the efficiency of applied nutrients, and are effective at very low concentrations. Emmetts have provided solutions to farmers across Victoria, South Australia and NSW for over 50 years. Established in 1957, it is the market leaders in the supply and service of agricultural machinery, new and used harvesters, tractors, tillage equipment and sprayers. Emmetts prides itself on being leaders in precision farming technology and thrive on meeting the diverse needs of the modern farmer. 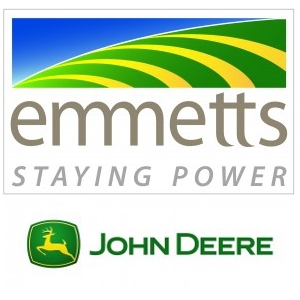 Emmetts have achieved John Deere Phase 3 dealer status, being only one of four John Deere dealers to do so in Australia and hass the ability to sell the John Deere Field Connect range of products and other advanced products that are now emerging. To find out more, contact your local Emmetts branch in Horsham, Rupanyup, Swan Hill or Warracknabeal. For over 80 years Great Western Corporation has been at the forefront of Australian agricultural equipment manufacturing. Today the brands Excel and Gyral are both highly regarded as products with performance and value delivering a good investment result. “Each day we work to uphold the core values of commitment, integrity, quality and innovation through ongoing research and development at our manufacturing facility in Toowoomba” said General Sales Manager Stewart Kings. For those whose business is agricultural product production Great Western Corporation is committed to your success. Our passion for helping you become more productive and profitable is where we can make the difference. NDF Disc Planters is a privately owned Australian company founded in 2001 by Dale Foster. The design and manufacturing plant is located at Narromine in central NSW. NutriSoil enhances the natural growing mechanisms of the plant and soil through increasing photosynthesis, feeding microbial communities and growing larger root systems. Plants grown in a healthy soil with a diverse microbial community can cope better with changes and stress, such as extreme heat, drought, flood, frost and chemical use. The calibre of our schools is matched by no other provider in Australia, having been especially tailored over 30 years to suit the many varied learning styles of farmers and industry members. We are continually updating our programs to include the latest information on soil health, production, business and personal development. Since 2006 Serafin Machinery has been importing and manufacturing quality no-till seeding equipment for the Australian market. Their flagship product is their own Serafin Ultisow range of single-disc seeders. Sizes range from three metres all the way up to 20 metres and have spacing starting from 165mm on a two-row bar. Frames are designed and manufactured locally to customer specification allowing for flexibility in design and are fully powder coated to stand the test of time. Experience obtained over 12 years in no-till seeding has positioned Serafin’s as one of Australia’s leading no-till seeder manufacturers.